There is a great new coupon for Safeway shoppers. 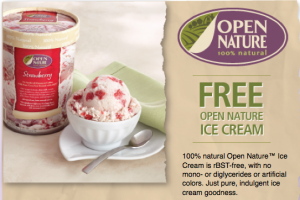 It’s for a Free Open Nature Ice Cream. Make sure to head over to the Safeway Facebook page and like them so you can request your coupon.